Omega Pure Bristle Shaving Brush with Stand. 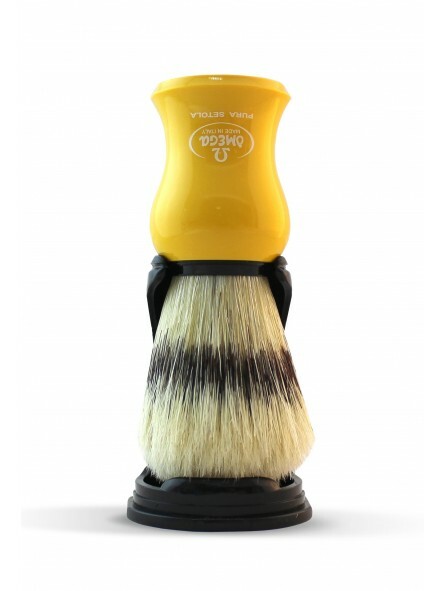 This shaving brush is one of the traditional shaving brushes from Omega. 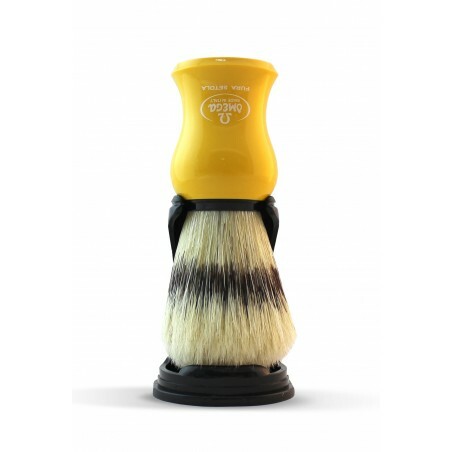 Bristle shaving brush with plastic yellow handle. Bristle tips get softer with the use without losing the firmness of the hair. Shaving brush is offered with a black plastic stand.